then join Haley in tranquil Tuscany for this sacred sisterhood experience! …it’s nearly time for another luscious, fresh-from-the-farm dinner — you can smell the freshly baked breads, roasted tomato sauces and freshly pressed olive oil wafting through the air making your mouth water in delighted anticipation. You sit down on the terrace with your new friends — who feel a lot more like soul-sisters — and cheers to a day filled with joyful shifts, massive breakthroughs, and stepping more into your power. For the first time in too long of a time…you are letting yourself lean back, receive true nourishment, and luxuriate in the pleasures of life. 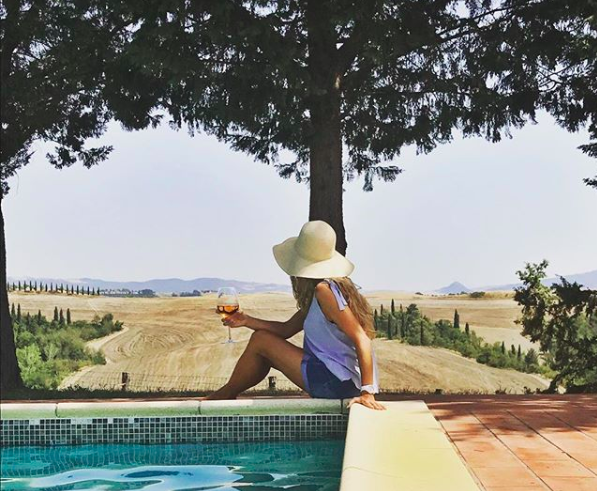 Looking out over Volterra, your heart swells with happiness that you’re actually here…sipping Italian wine right outside our own private villa…and bravely doing the real inner-work it takes to be fully, all of you. Allow me to tell you more! …being genuinely supported as you reconnect with your soul and uncover the desires that have been hidden within your heart, now urging you forward into new levels of pleasure and fulfillment. Imagine learning how to fully reclaim your personal power, so you can go forth and create a life that totally lights you up more than you previously thought possible. …and walk away feeling utterly rejuvenated, revitalized and ready to take on the world as the next-level version of you. The woman you’ve always known you are here to BE. 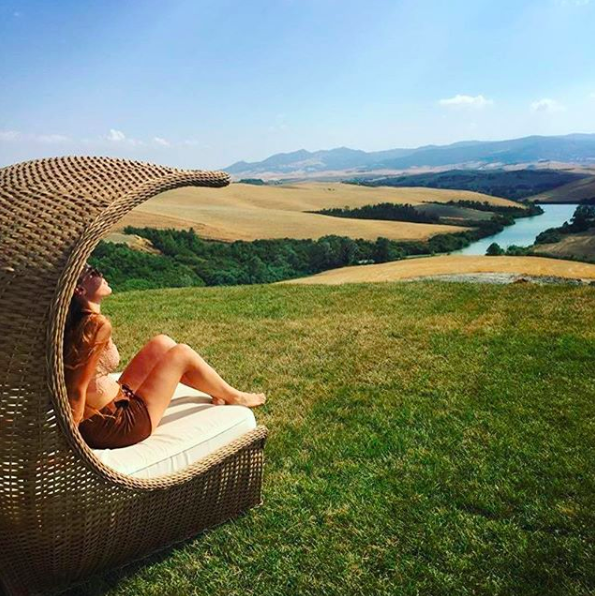 This transformative retreat experience has been curated to lovingly guide you through metamorphic inner-work, fill back up your mind-body-soul cup to overflow, and drench every cell of your body in the inspiring culture of Italy. There is something about this place that will naturally guide you back to the seat of your soul, reignite your passion, enliven your spirit, and leave you walking taller with your head held high — sights set on your big, bold, beautiful vision. I definitely can't miss this! joy is a choice and a habit — isn’t it time you enjoyed more? And for maybe the first time ever…you actually know you are being seen and heard. A newly built, private Italian villa situated on an organic vineyard and farm atop a hill overlooking the Tuscan countryside. We will be nestled between Florence, Pisa and Volterra with easy access to many surrounding towns for day trips where you’ll be free to explore, eat and shop. The rooms are quiet (for that much needed peace of mind), warm & welcoming and offer a simple Italian elegance. On the property you’ll be able to soak up the sun at the saltwater pool and wander amongst the gardens. One of the most luxurious Italian foods in my opinion is handmade fresh pasta. 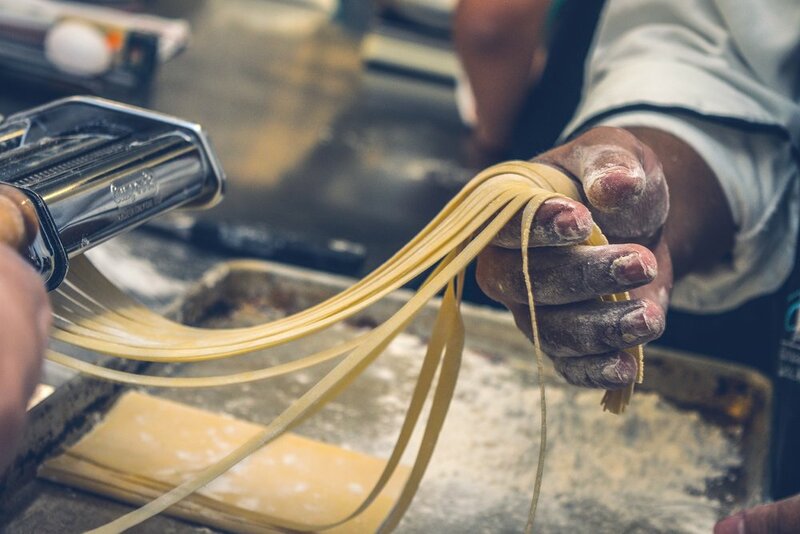 Taught by the on-site chefs, we’ll learn the art of fresh pasta making and get to enjoy our creations together as our dinner that evening. One afternoon we will be whisked off to the hidden gem town of Volterra, where you’ll enjoy free time wandering the ruins, artwork, architecture (and shopping!) to your heart’s content! This day is for you to see and do whatever you’ve been longing to explore. We’ll leave as the sun is setting and the sky is turning into a blanket of pinks and purples and adventure around the Tuscan countryside. 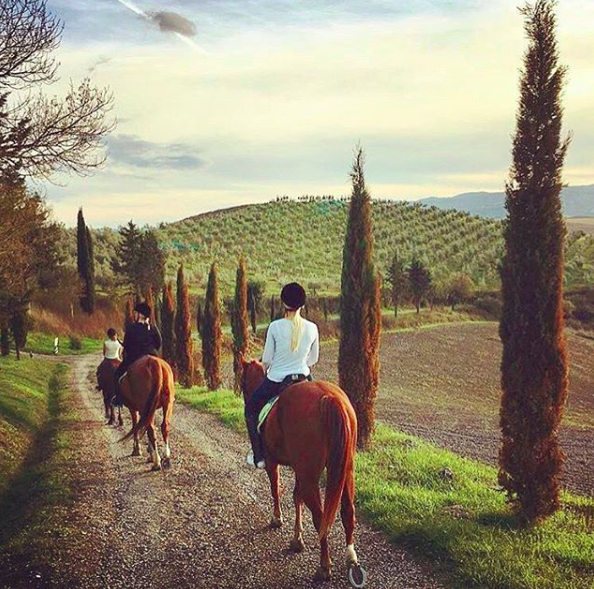 Upon returning to the stables, we’ll enjoy a glass of wine together and a special dinner experience prepared for us by the chefs in the restaurant. 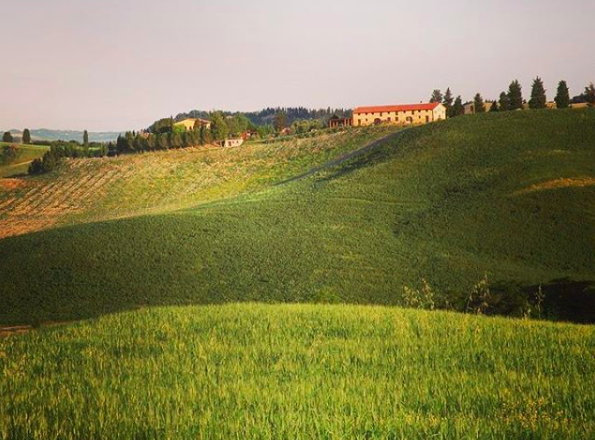 Our estate hosts will guide us in a beautiful wine tasting experience where we will learn about the different grapes used in Italian wines while allowing our palates to get to know them as well! A key component of the Italian culture is extra virgin olive oil and we have the opportunity to tour the farm’s own olive groves where we’ll learn about the entire process of making this prized item from tree to bottle. Our evening will conclude with a classic Tuscan meal starring the olive oil produced that very day. Arrive into the Pisa Airport (PSA) or another nearby airport such as Florence Airport (FLR) on October 13th before 1pm if possible so we can pick you up and get you settled in before our welcome celebration. We recommend you depart October 18th, 2019 after breakfast. We’ll have one pick-up from the Pisa Train Station on October 13th and if you are not arriving in time to be on those transports we can help you arrange your own taxi to the villa (at your cost). 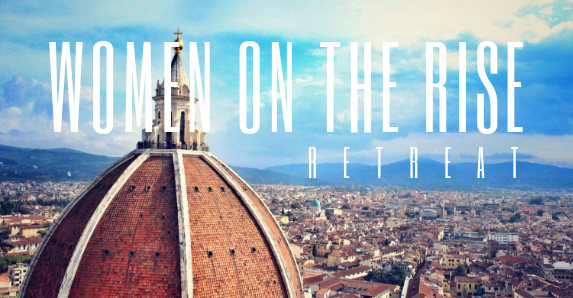 Do you have questions about the Women on the Rise Retreat? Thank you! I’ll be in touch shortly to answer your question.